My husband loves his new Camo Otterbox. The iPhone 6s case is so durable. He says it’s stylish, and great quality. He also loves that it has the RealTree trademark. We’ve been dealing with Otterbox since we’ve been using iPhones, which has been several years. We’ve always loved the quality, and this case is no different. My husband can’t stop talking about how wonderful Otterbox is. You can drop your phone and the case protects it. Where else will you get a case this durable? It’s also dust resistant, scratch protection, and screen protection. As I’ve said, I’ve been using Otterbox for years, and I’ve never had an issue. My phone is still in perfect condition. And, my husband’s is as well. And, the new Otterbox Camo Case is an added plus. He loves Camo. It matches his clothes now. 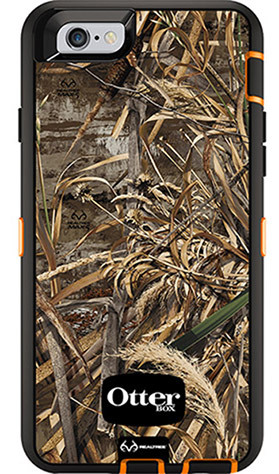 There are 3 Camo styles for the above, pictured, Otterbox. Check them out by clicking the link above. Now, let’s talk about the Otterbox I received. It’s from the Symmetry Series. I love this case. The colors are bold, and there are 12 choices. I went with the really colorful one. It’s wonderful. It’s got Drop Protection, and Scratch Protection. Which is wonderful. Blending fashion with function, this slim iPhone 5 and iPhone 5s case brings personality to OtterBox’s trusted protection. You also get FREE SHIPPING on Otterbox.com, and a 1 year warranty. Merci Maman, personalized gifts for any occasion! Next Article The BuzzyLuvz® Children’s Kindness Six Book Series.